A senior Vatican official has hinted there is an unofficial agreement between the Holy See and Beijing on the appointment of bishops even as negotiations to formalize arrangements continue to hit roadblocks. Bishop Marcelo Sanchez Sorondo, who attended a conference on the sensitive topic of organ donation and transplantation in the southern Chinese city of Kunming, offered the hint during an interview with state-run Global Times on Aug. 4. "We need to make a distinction between a formal agreement and the real things (that are happening among the public). 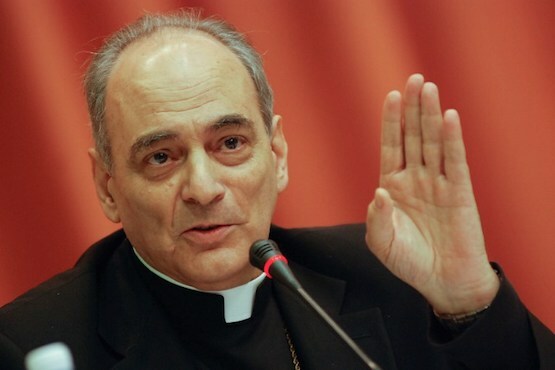 The real thing is that at this moment China and [the] pope have a very good relation," said Bishop Sorondo. 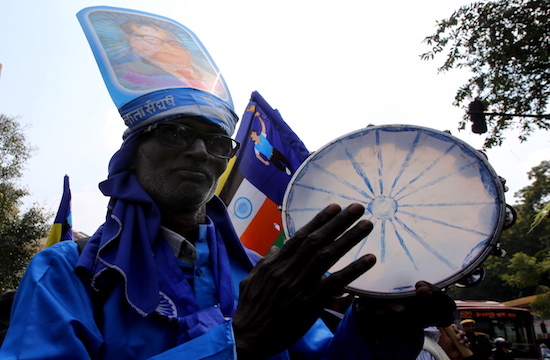 Observers have been increasingly confident that a process has been put in place as the two sides work towards a formal agreement especially after the appointment of five new bishops in 2015 and 2016 that were jointly recognized by both sides. But a formal agreement appears to be stuck on three bishops appointed by Beijing who are not recognized by Rome. Two of them are understood to have family relationships inconsistent with the priesthood and another has a cloud over him regarding possible criminal offences. Still, others have noted the tenuousness of any deal — either official or in practice — with the ruling Communist Party after the talks appeared to slow further during the last round in June and then the Vatican hit out at Beijing for its extra-judicial detention of Bishop Peter Shao Zhumin of Wenzhou. 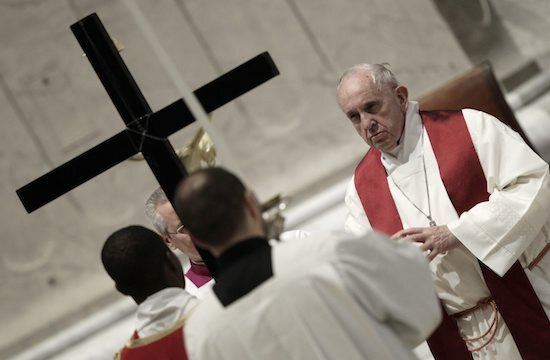 A process to normalize the appointment of bishops in China, so they are confirmed by both the Vatican and the ruling Communist Party's own non-Rome affiliated Catholic peak bodies, has been at the center of negotiations over three years. The talks were resumed by Pope Francis who has made Asia, and China in particular, a key focus of his papacy after all talks were suspended under his predecessor Benedict XVI around 2009. The Vatican is committed to addressing the issue of climate change, which the Chinese people closely follow, and the pope considers very important, the 75-year-old bishop said. It is noteworthy, and something of an olive branch, too, that the Vatican prelate was in China for a conference on organ transplants. China's government has been suspected of being involved in illegal organ harvesting for decades. China committed to eradicating corruption in organ trafficking after the February meeting, said Bishop Sorondo who is the chancellor of Vatican's Pontifical Academy of Sciences (PAS). It is the first time that the PAS has attended a China-run conference on organ donation and transplantation. It came after Chinese representatives were controversially invited, also for the first time, to the PAS Global Summit on Organ Trafficking and Transplant Tourism at the Vatican in February. In the lead up to the Vatican meeting, several former Chinese medical professionals were among those who accused the Communist government of being involved in organ harvesting from living prisoners, mostly Falun Gong practitioners. 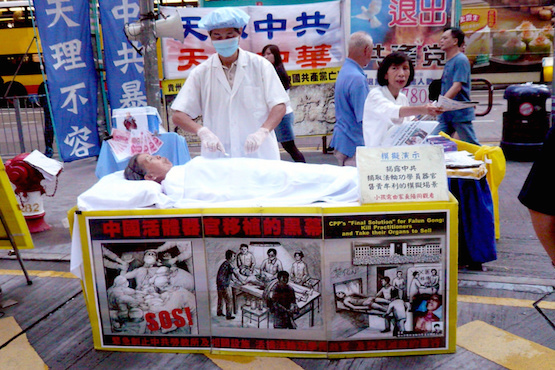 "Organ harvesting is now so rampant in China that they can provide a kidney in four hours. This is ethically unsupportable," Enver Tohti, an ethnic Uighur who fled to England after he took part in organ harvesting as a surgeon in China's west during the 1990s, told ucanews.com in February. The Vatican summit, he said, gave China an opportunity to avoid charges of organ harvesting. 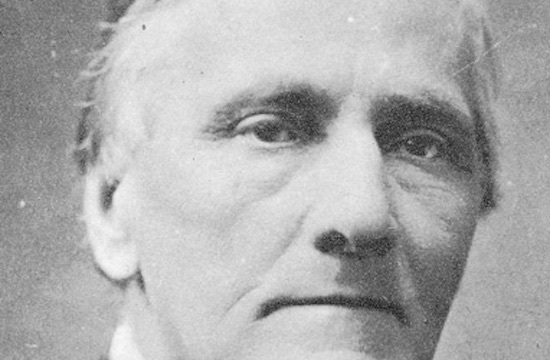 It is "tainted by money and vested interests," he said. Xu Ru, a commentator of Epoch Times, a publication with links to Falun Gong, wrote on Aug. 6 that the Vatican institute's cooperation with the Communist government "is not only an offense to the injustice done to people but also a shame to history. History will record this shameful page." The Communists' crime of organ harvesting could not be whitewashed by utilizing the Vatican, Xu wrote. 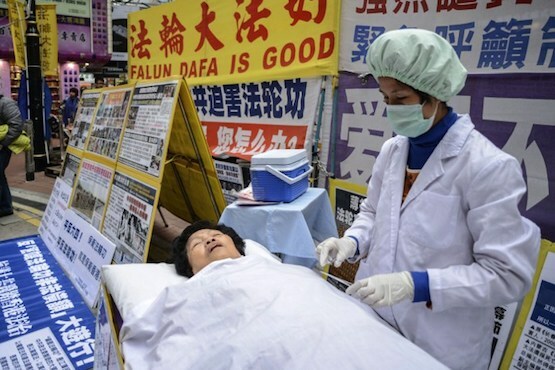 Falun Gong has charged the Communist government with persecuting their followers since 1999. Activists and investigators say that many practitioners have been thrown to jail for their faith and been killed for their organs.